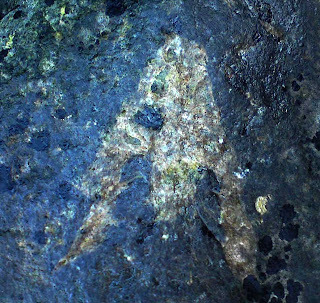 The Public Broadcasting System (PBS) show American Experience has made the Dinosaur Wars show available for on-line viewing. 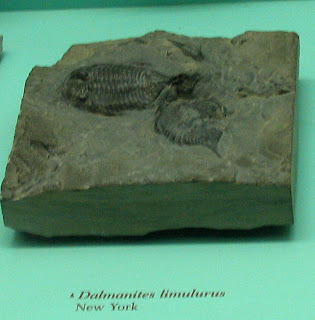 It is the story of two paleontologists Edward Cope and O.C. 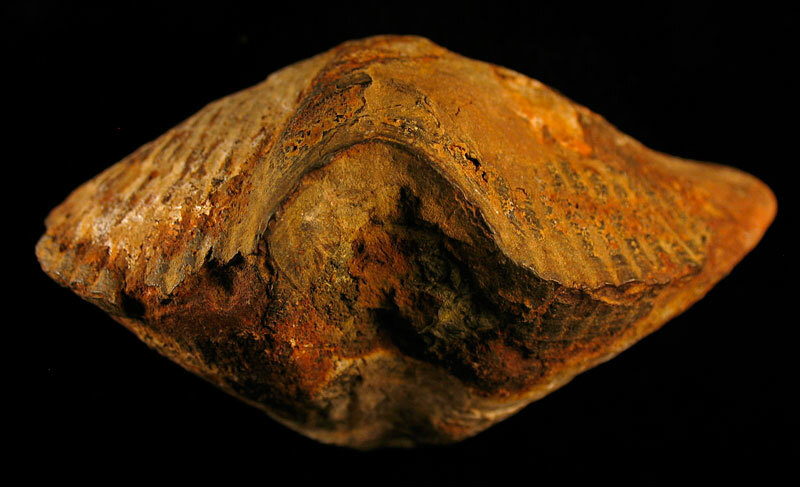 Marsh, competition to uncover dinosaur fossils in the late 1800s. 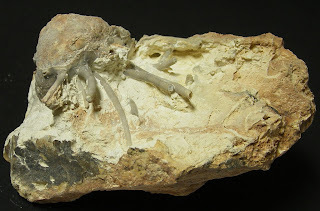 A sad story about what happen when collecting fossils gets out of hand. 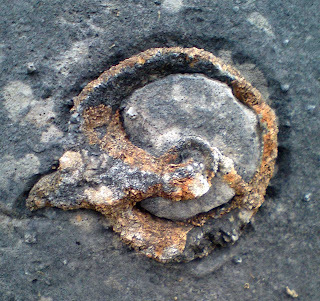 Thanks to the Alfred P. Sloane Foundation and Liberty Mutual for making this show possible. 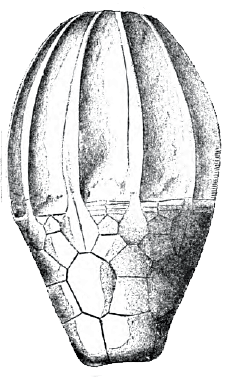 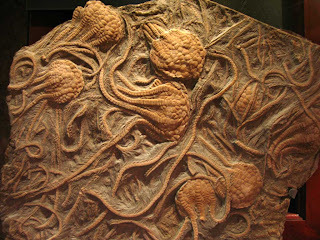 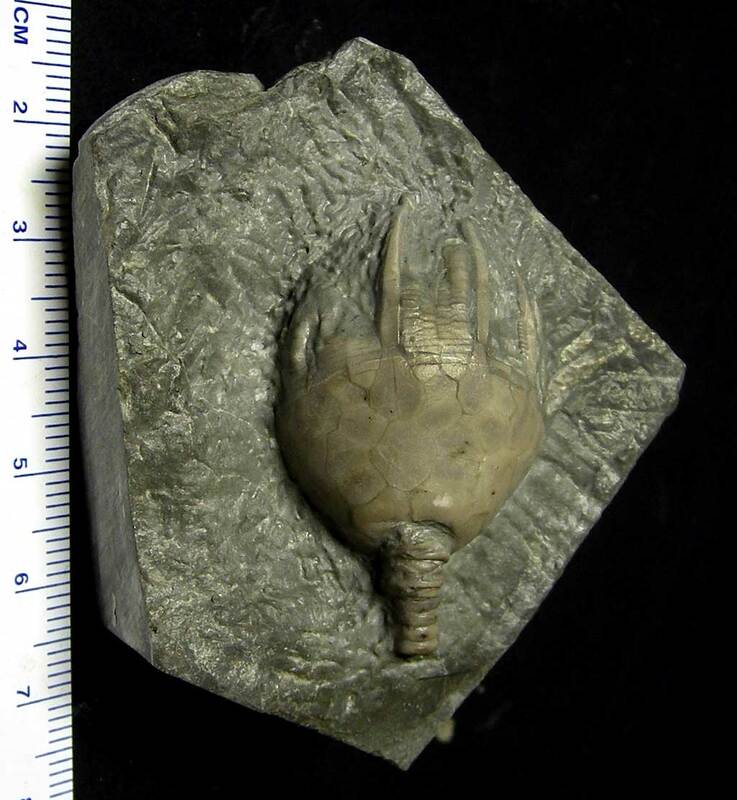 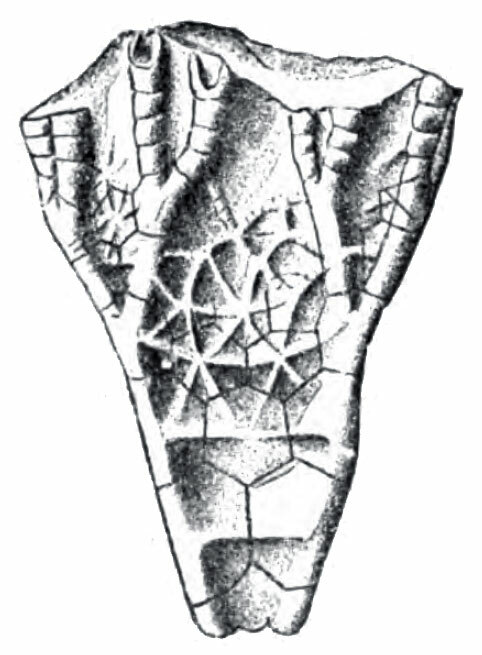 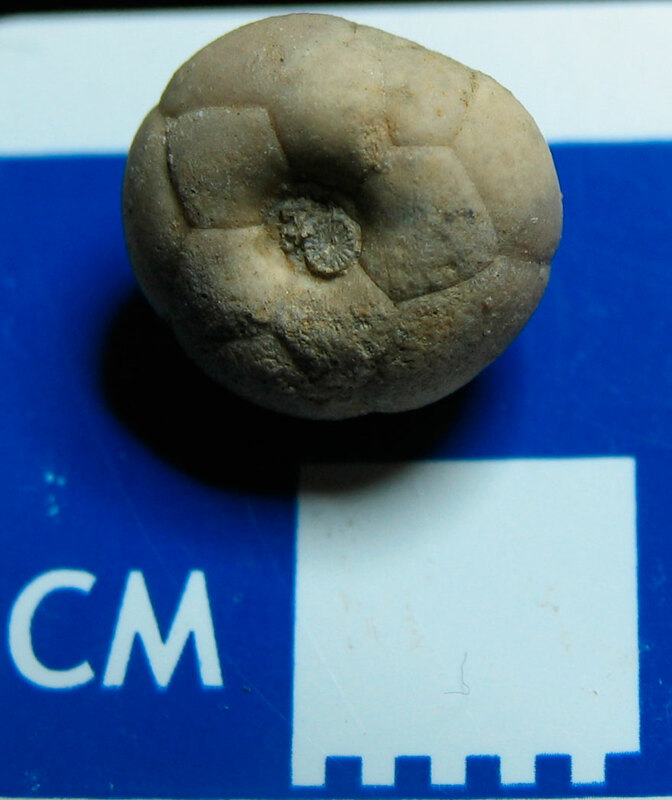 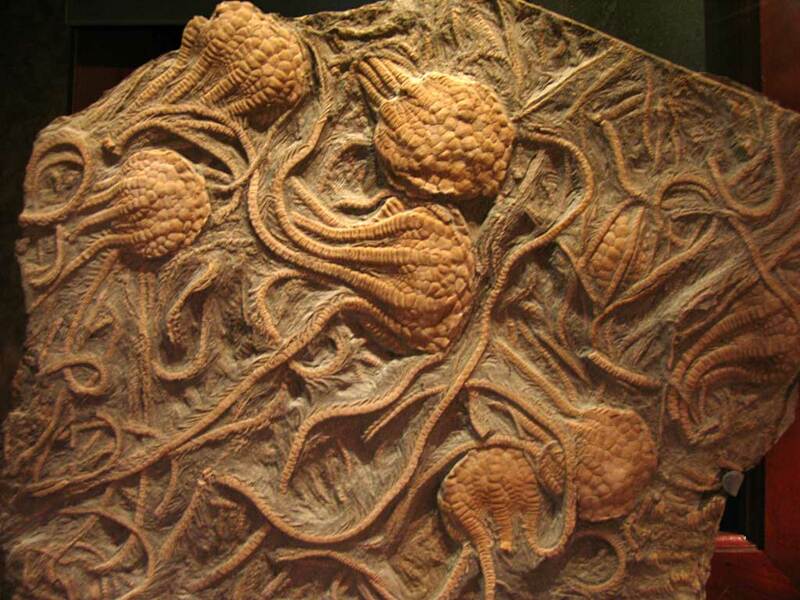 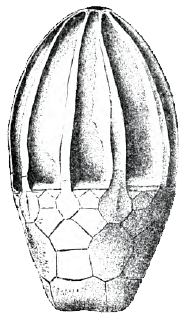 The bottom of this crinoid calyx displays an attractive five plate flower pattern. 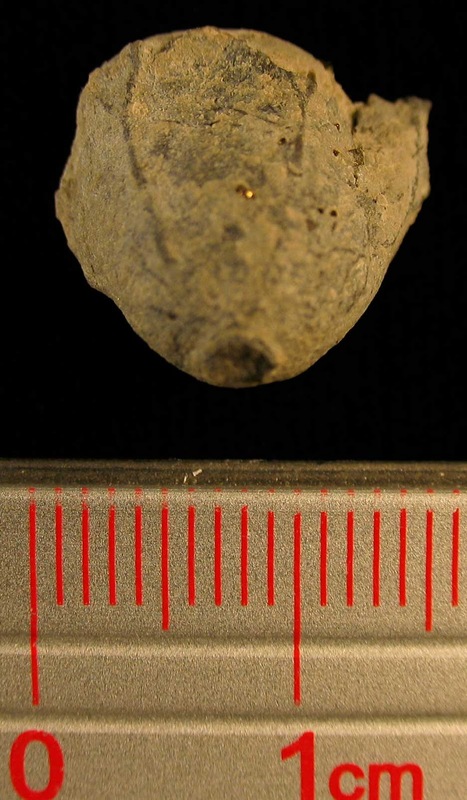 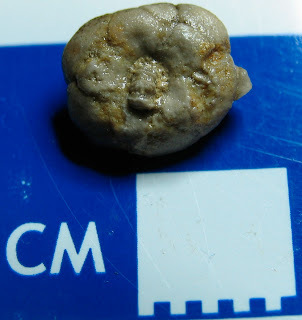 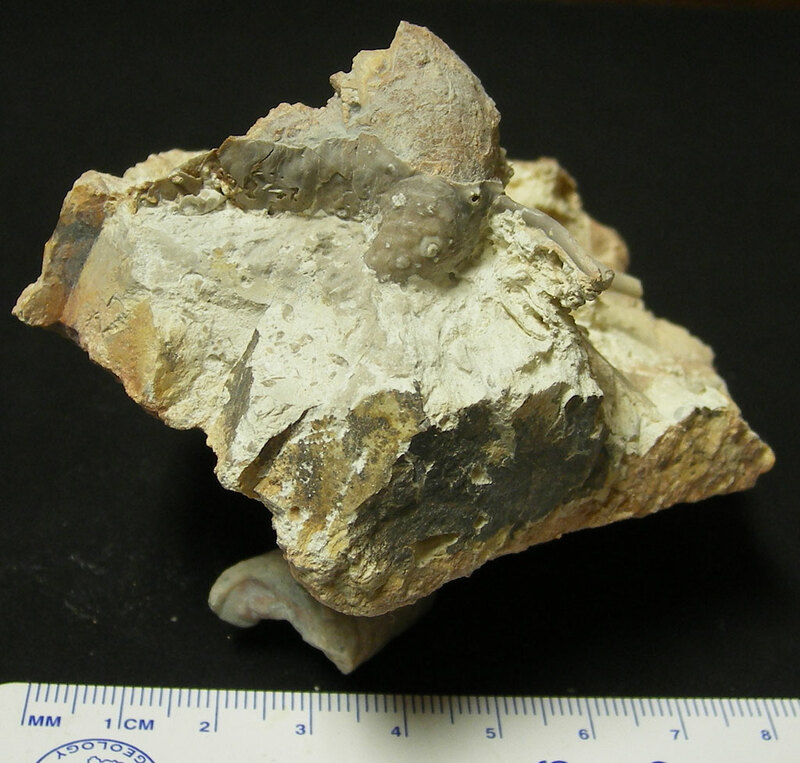 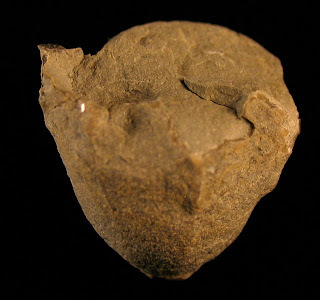 This unidentified calyx is from the Upper Mississippian Period. 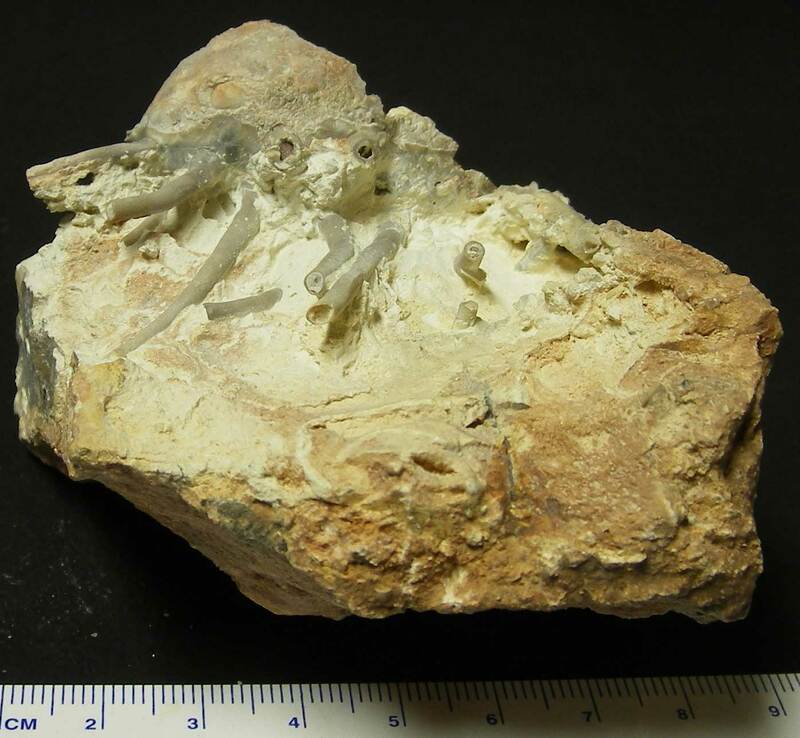 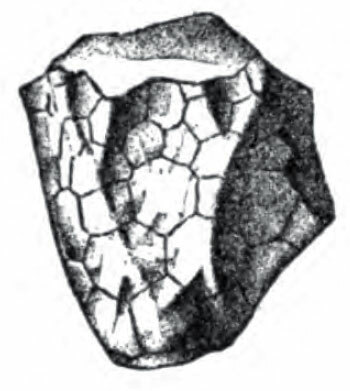 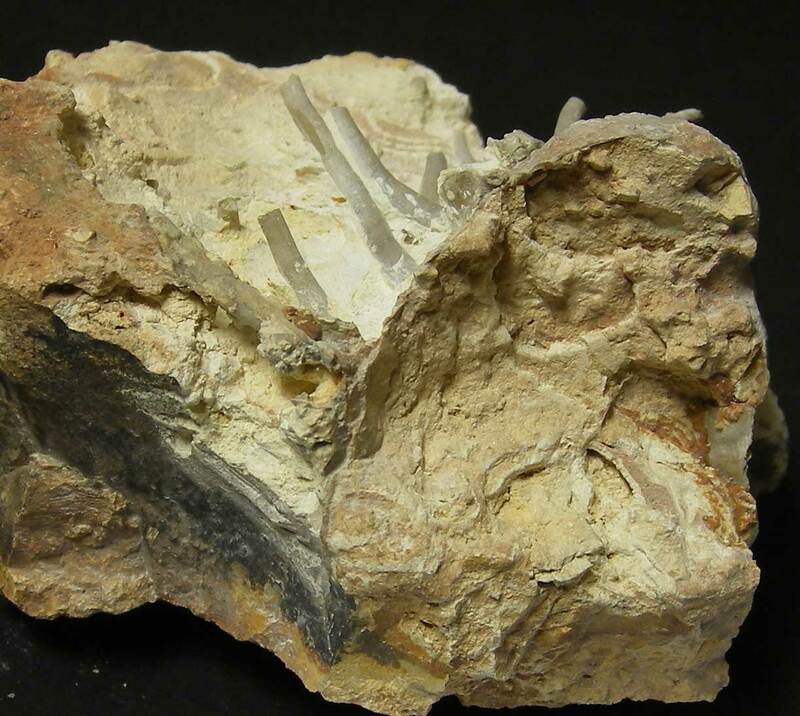 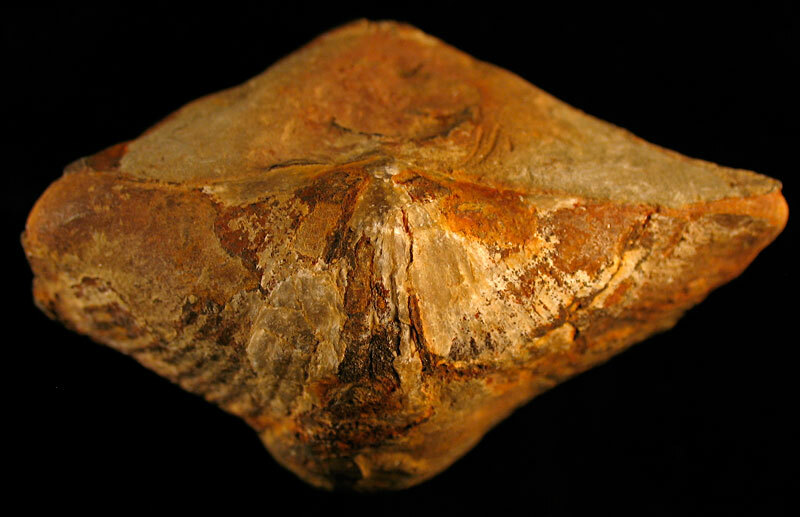 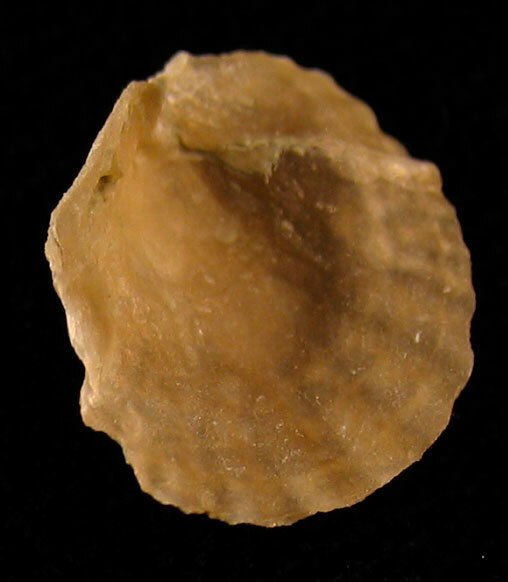 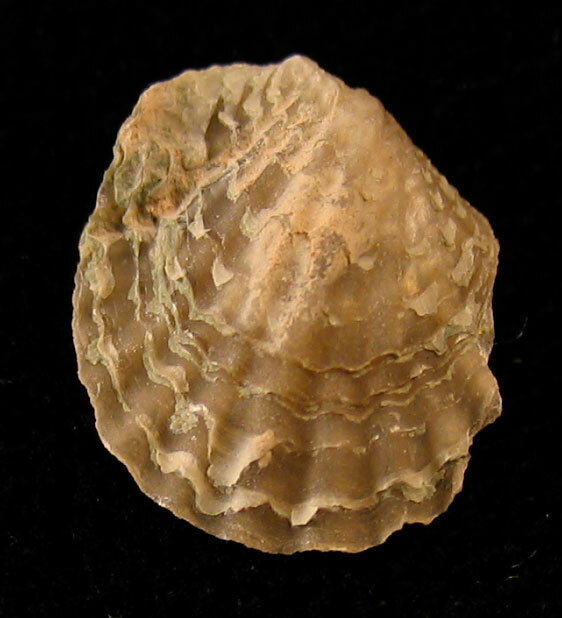 The fossil was found in Indian Springs Shale Member of the Big Clifty Formation of Crawford County, Indiana. 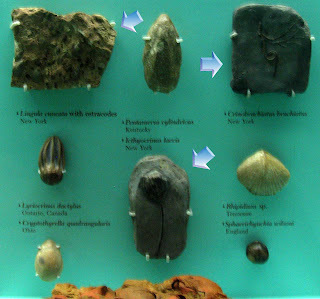 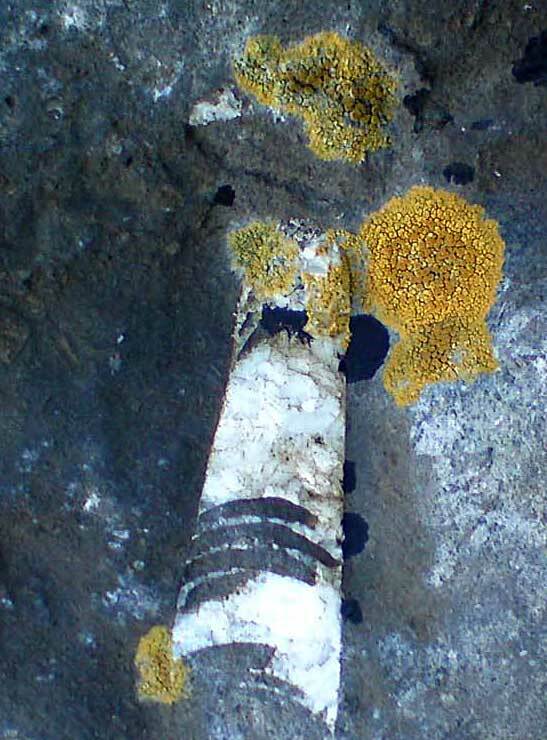 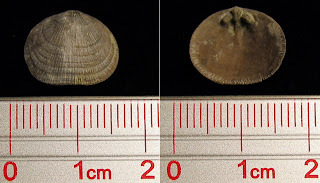 Three specimens are shown in this posting and each fossil is about 1 cm in diameter. Thanks to Kenny for letting me image his fossils for this post. 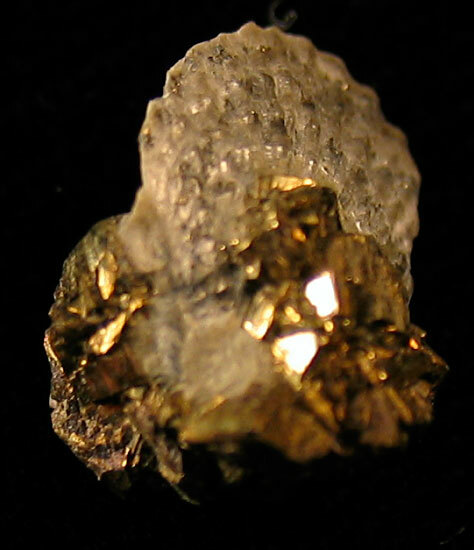 On a small side note, this is my 900th post. 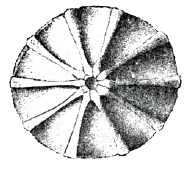 I will now slow down my publishing rate which has been for a while 7 posts a week. 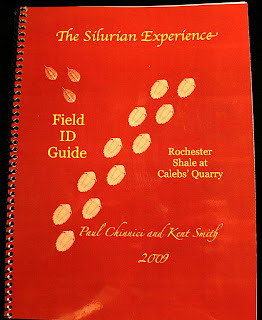 My plan is now just publish on Sundays and Mondays which should get the blog to 1000 posts in 2011. If a special occasion or fossil needs to be posted, I will publish outside of this schedule. 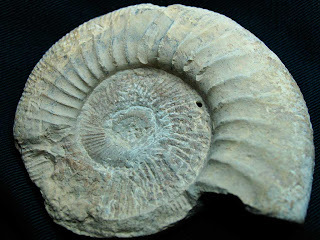 If I have any daily readers, thank you for your dedication to this fossil blog. 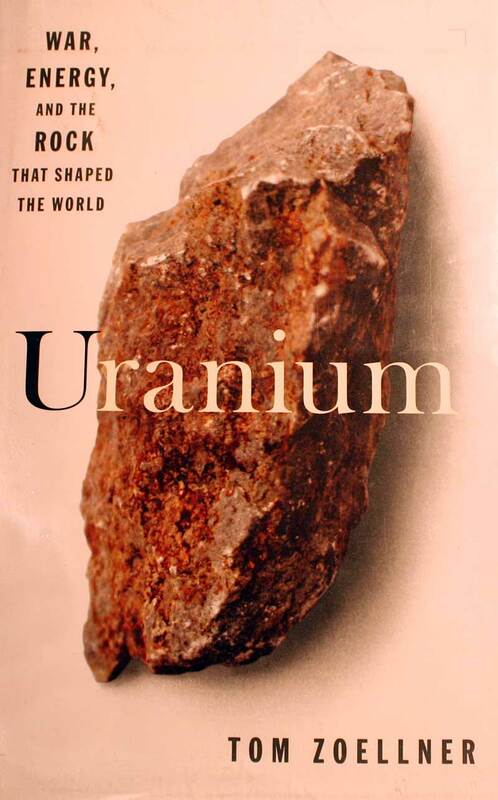 Looking for a daily read, check out the posts on the ever active Fossil Forum and good geology news and nifty info read the GeoBulletin. 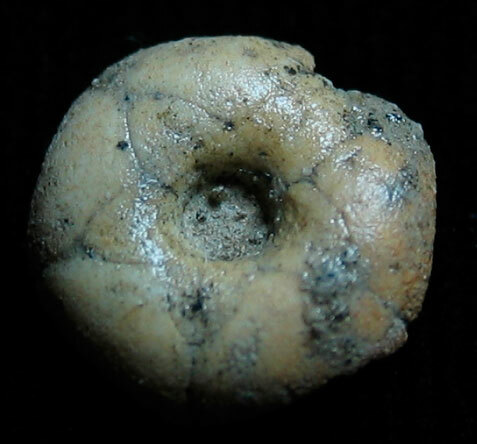 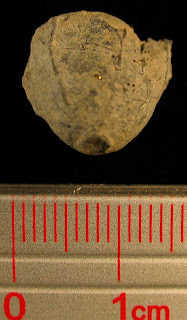 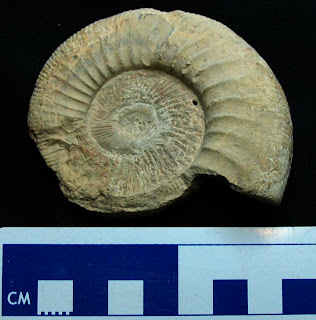 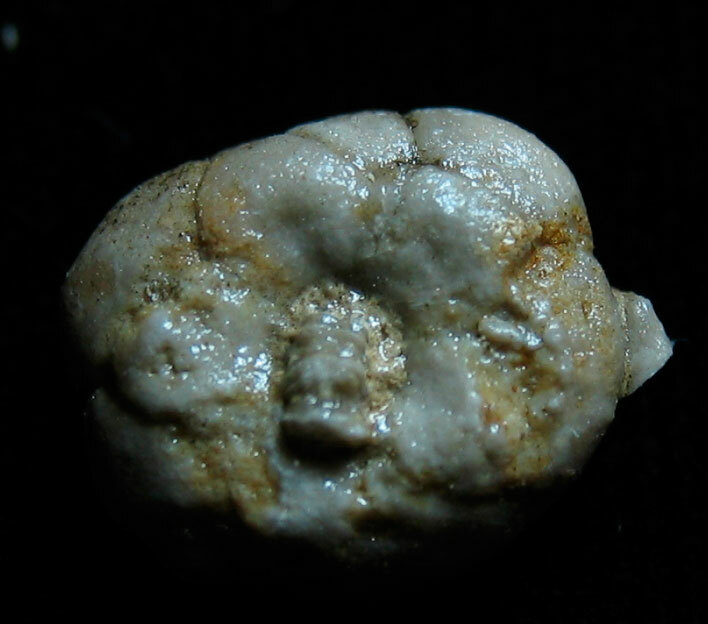 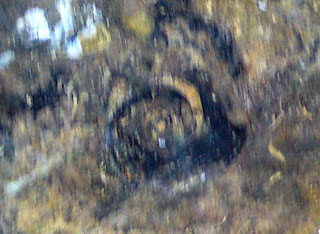 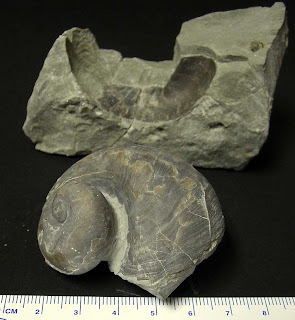 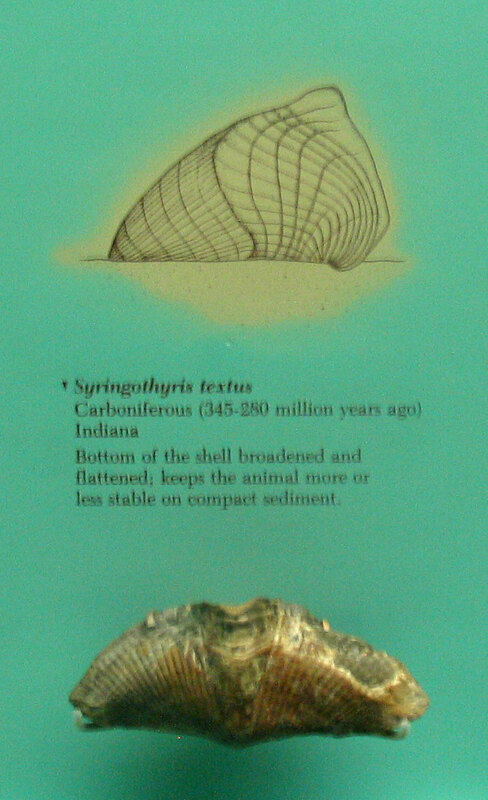 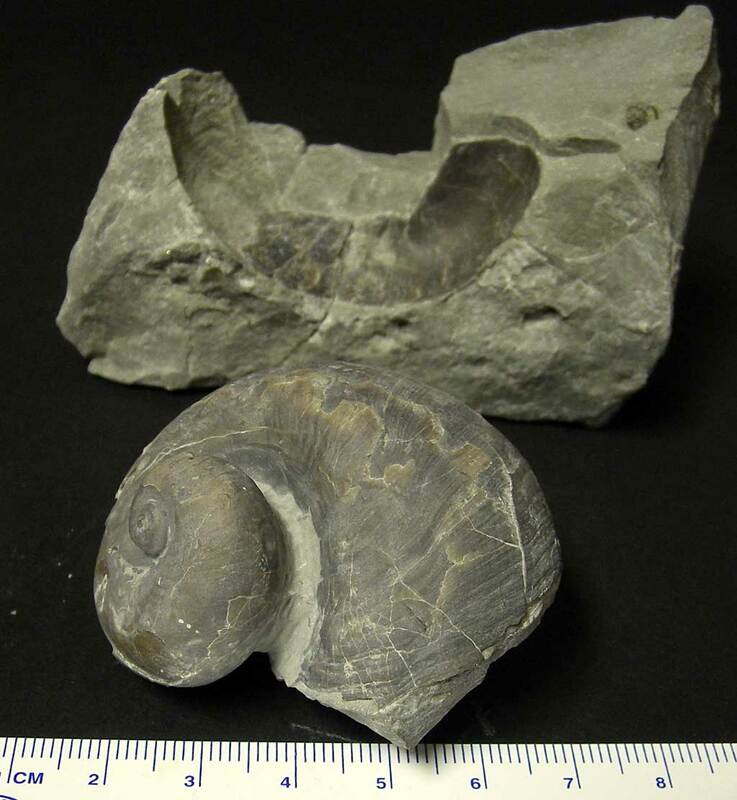 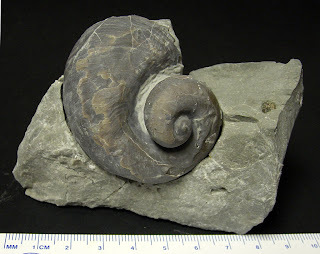 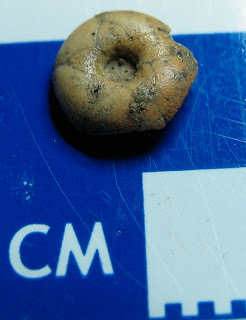 Platyceras dumosum snail fossil found in the Jeffersonville Limestone of Jefferson County, Kentucky. Animal existed in Devonian Period. Thanks to Kenny for the pictures and his nice prep work on this fossil. This unidentified clam fossil found in the Waldron Shale of Clark County, Indiana. The fossil is about 1 cm wide and 1.5 cm long. 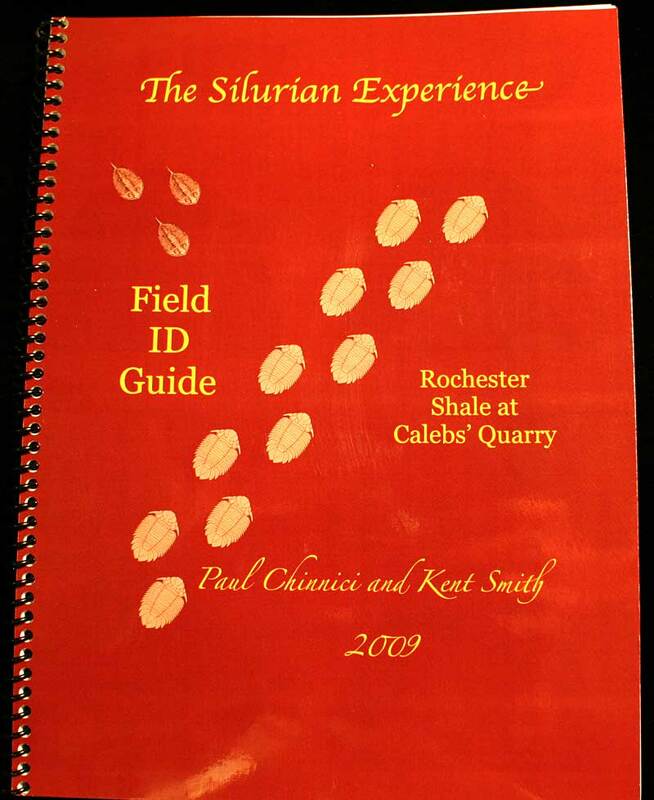 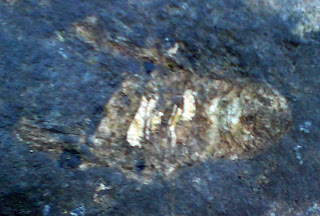 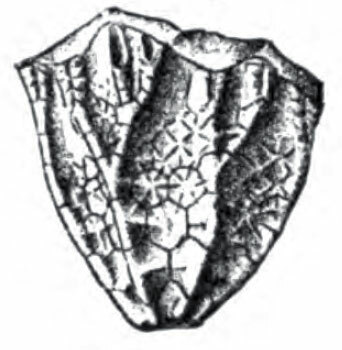 Fossil is from the Silurian Period. 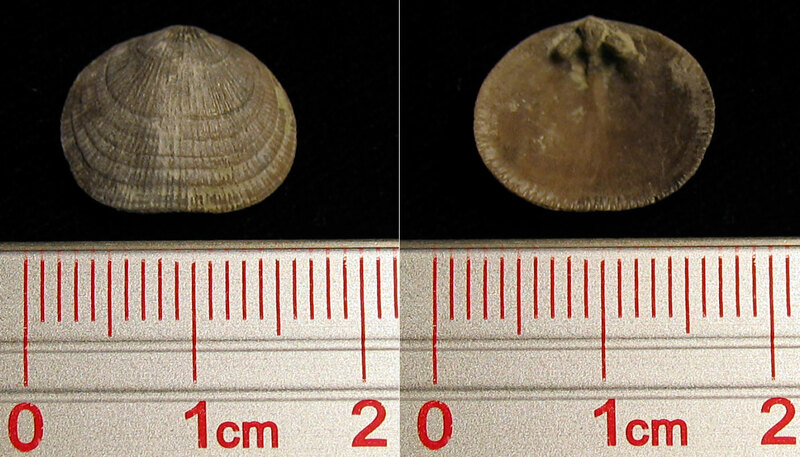 This is only the second type of clam I have found so far. 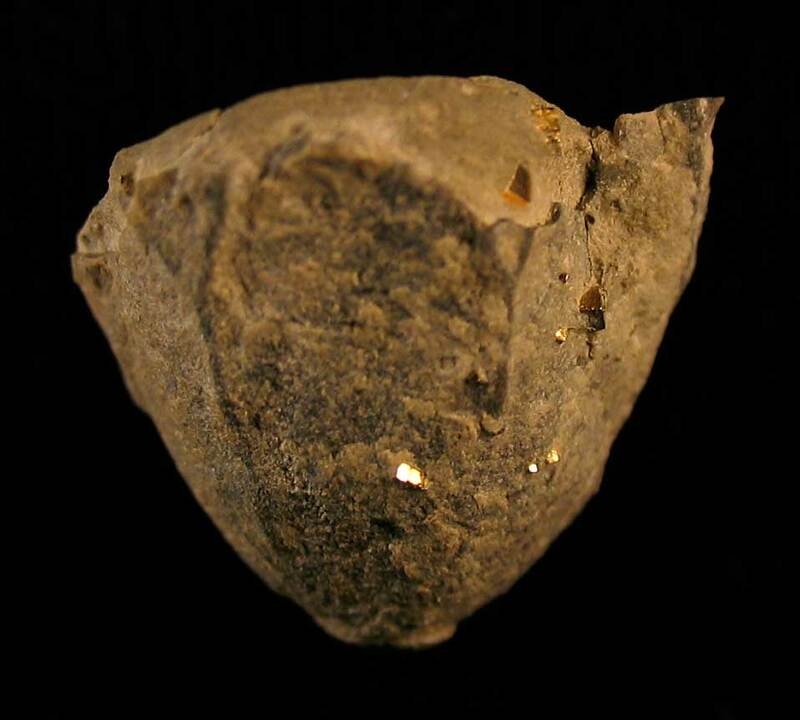 Clam fossil embedded in some pyrite crystals. 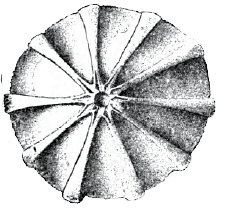 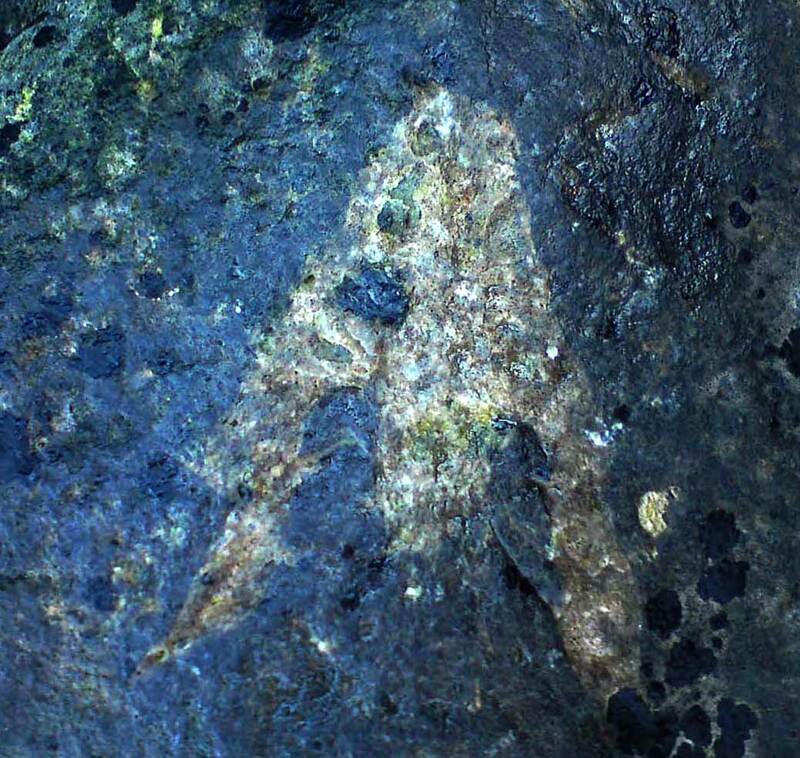 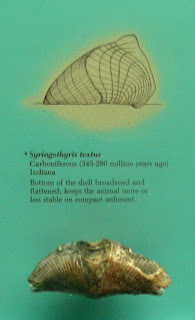 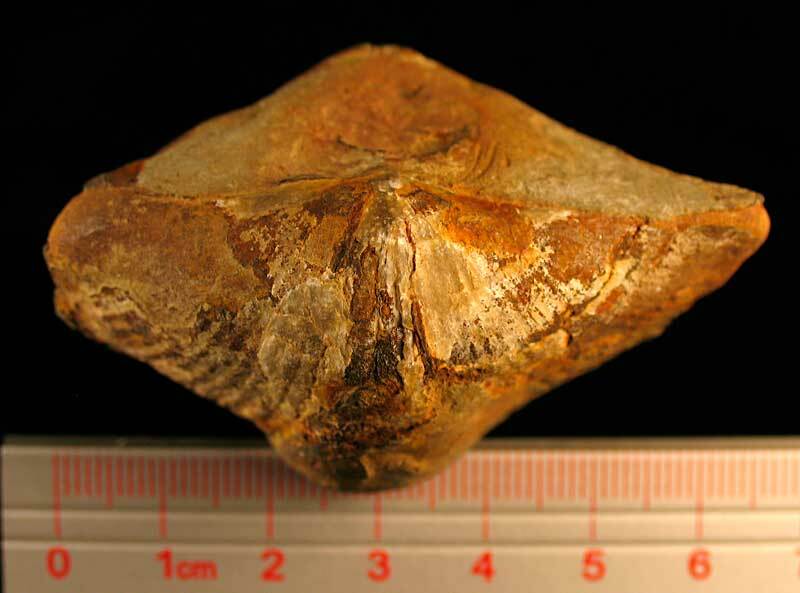 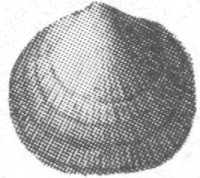 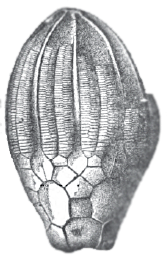 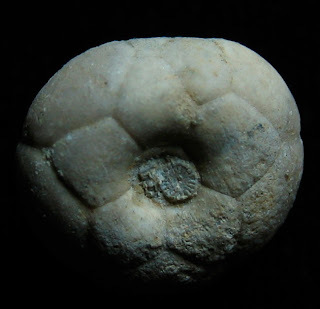 [UPDATE: This fossil also looks like a Rochester Shale brachiopod found by the group at Primitive Worlds that shows up as Unidentified identification #11 on page 41 of their book. 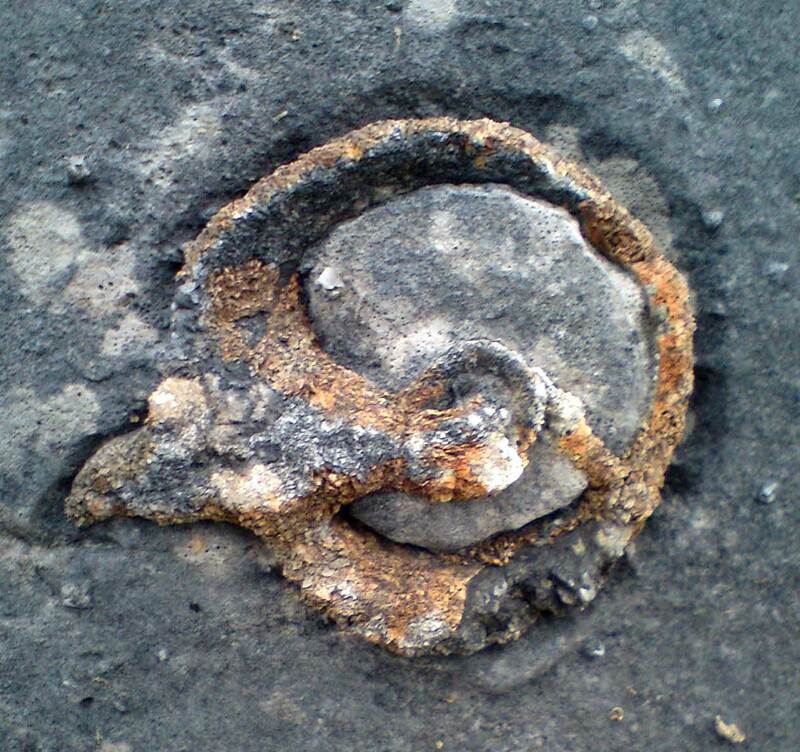 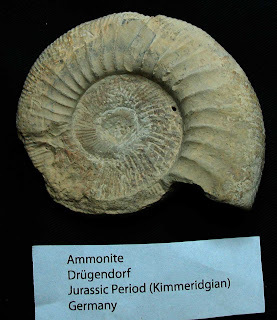 Unidentified ammonite fossil from Drügendorf, Germany of the Jurassic period (Kimmeridgian). It is currently be prepped as you can see the air scribe marks on the internal whirl. 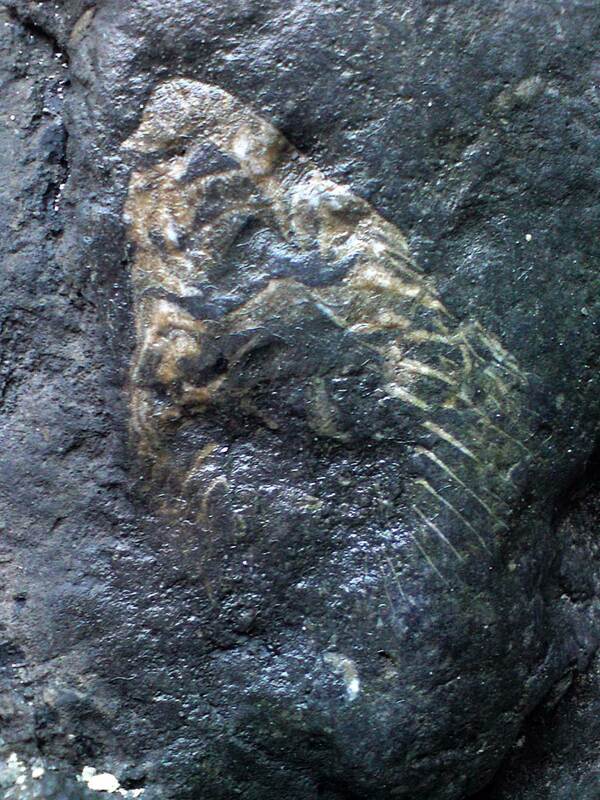 Thanks to Dave of Views of the Mahantango for this fossil. 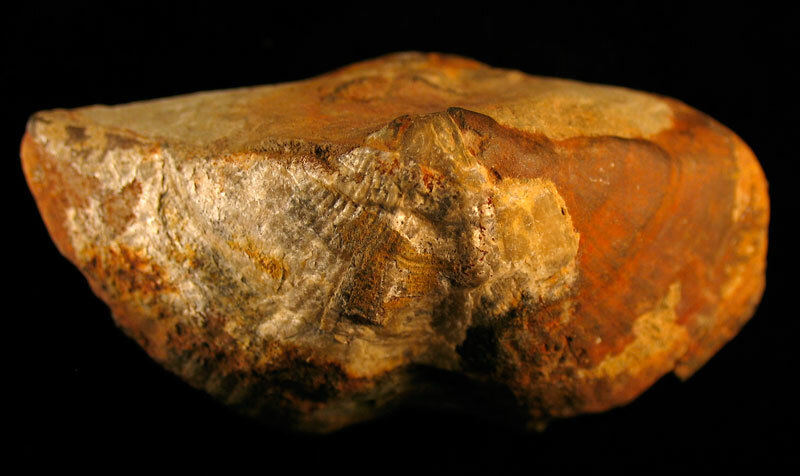 Also thanks to Kenny for letting me photograph the fossil on his work table, he is still working on prepping. 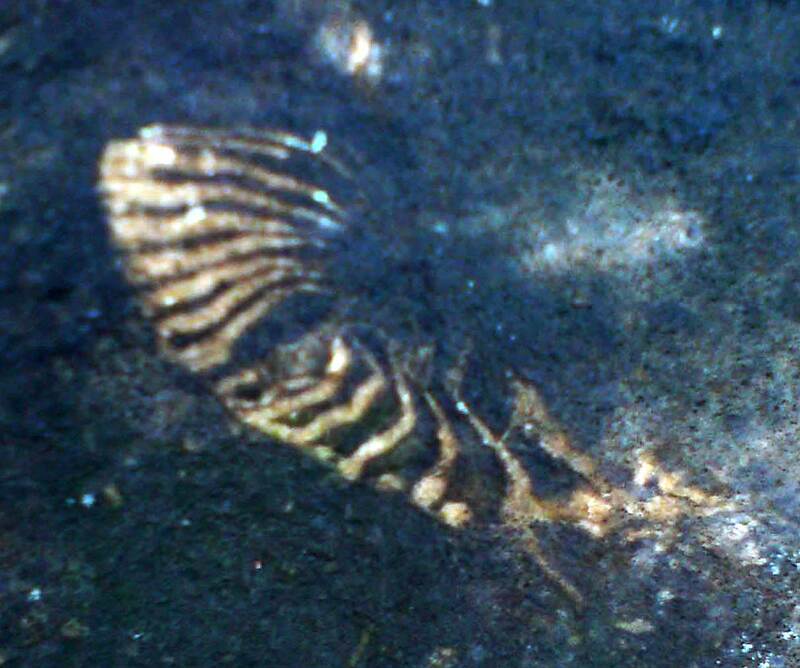 I believe the marks will be air blasted smooth on the fossil surface next. 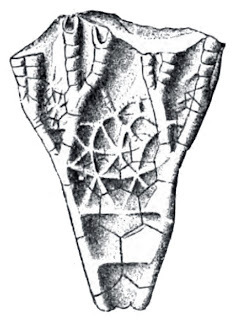 A new prep tool was used to help clear the excess matrix called Air Scriber 8315B with carbide stylus.